National Strategic Innovation Programs (funded by Vinnova), including Intelligent transportation systems, Smart Electronics, the Internet of Things, and Produktion2030. 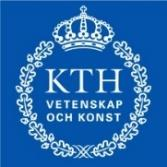 Innovation supporting organizations, including KTH Innovation, STING, THINGS and EIT Digital. The Wallenberg Autonomous Systems Program (WASP) initiative on autonomous systems in which KTH is strongly involved. WASP focuses on the underlying necessary technologies and design methodologies of autonomous systems. INCOSE and SwedSoft as networks in systems and software engineering.